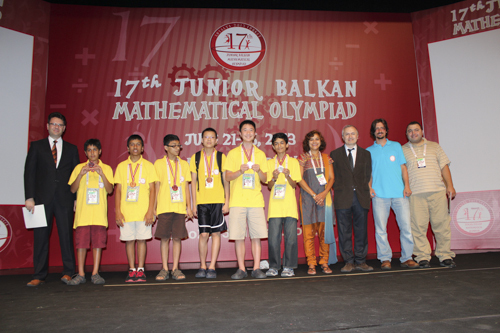 In late June, middle school math teacher Vandana Kadam traveled to Turkey to participate in the Junior Balkan Mathematical Olympiad (JBMO). It was the first time the U.S. had been invited to compete in the event, and Kadam acted as an observer on a panel of 25 mathematicians who selected problems for the exam that was administered at the JBMO. The United States team placed fourth out of the 21 countries competing in the Olympiad, with all six members of the team earning medals, including three gold, one silver and two bronze. The team had the second-highest number of gold medals behind Turkey, who had four.